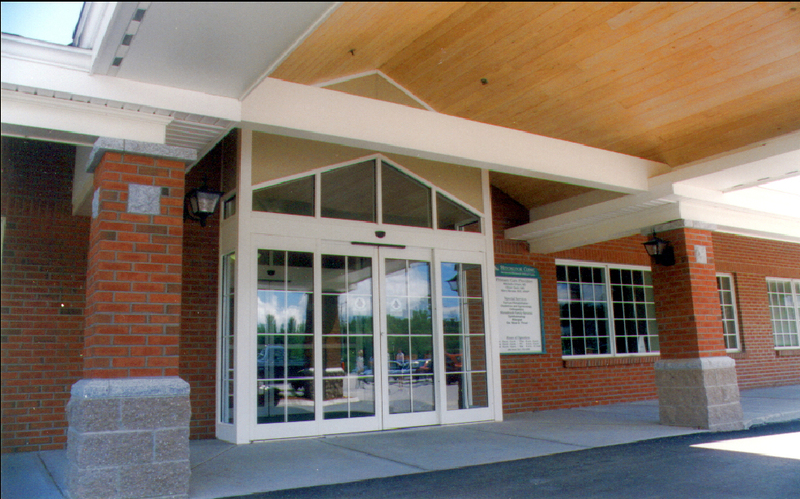 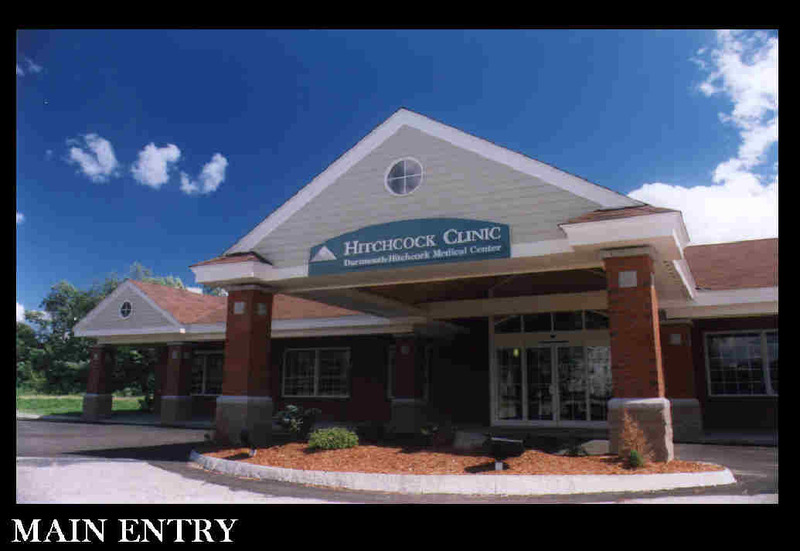 Located in a small NH town surrounded by New England hills and early American Architecture, the design of this clinic wanted to blend in with its environment without sacrificing the reputation of a modern healthcare facility. 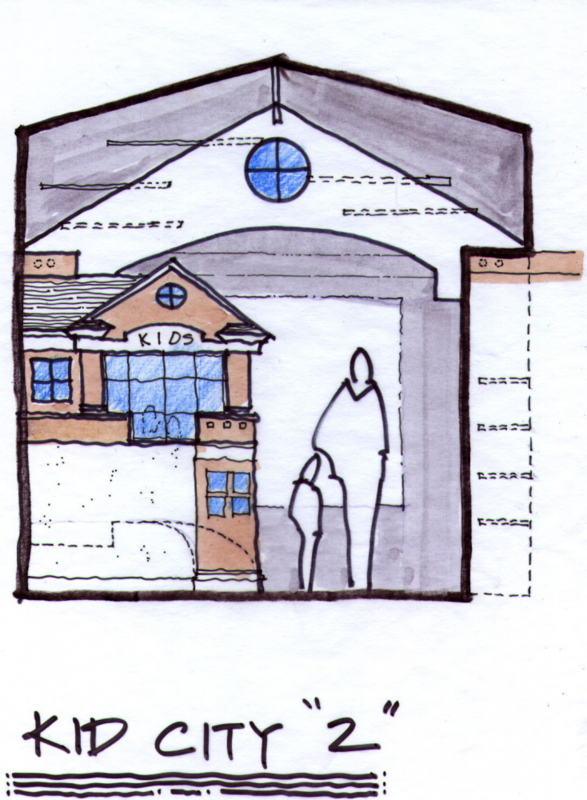 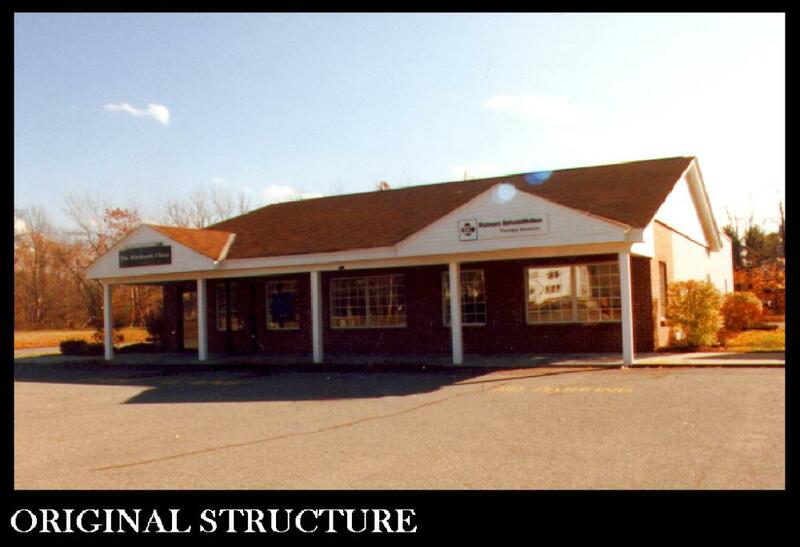 The existing building was a very undistinguished mass at the end of a typical small shopping plaza. 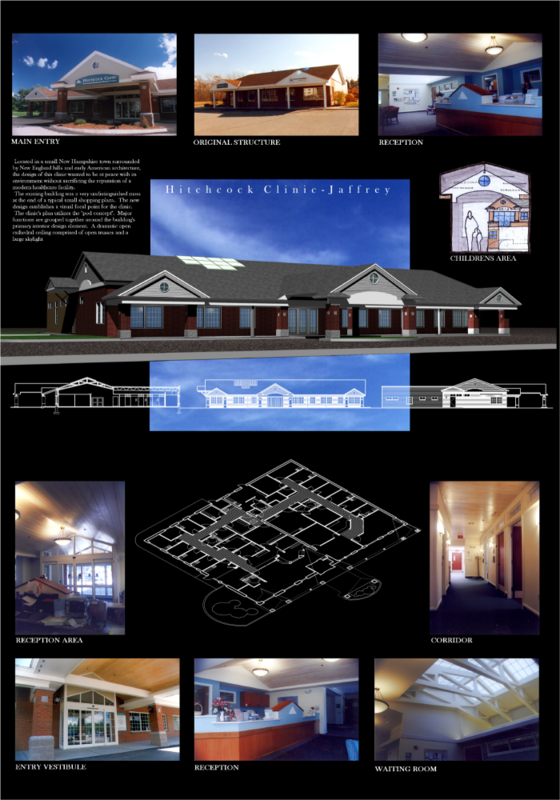 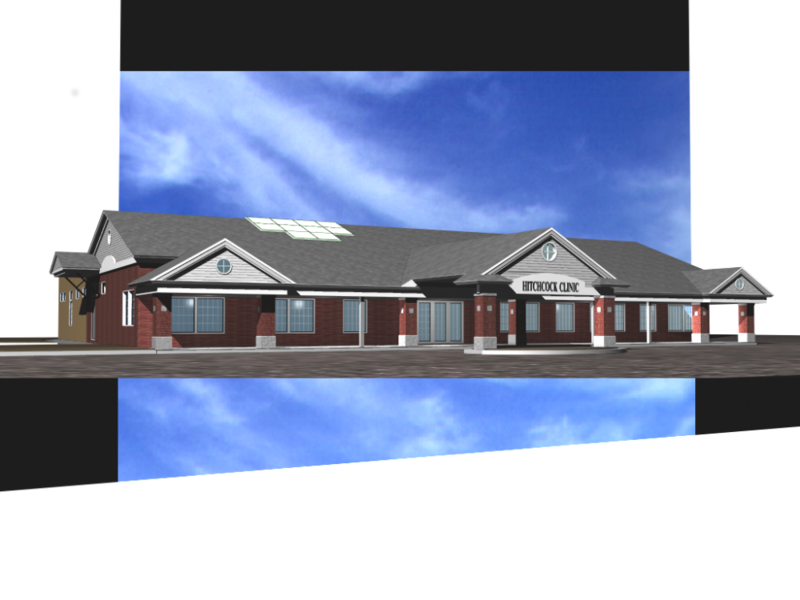 The new design establishes a visual focus point for the clinic. 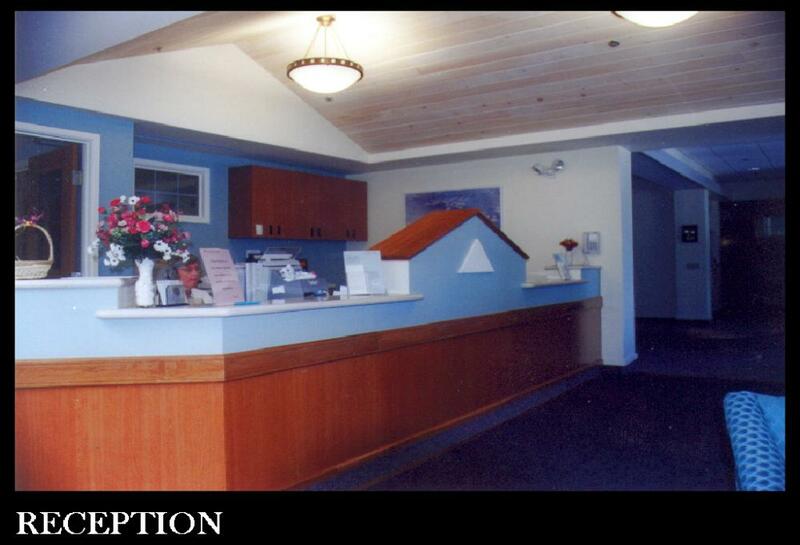 The clinics plan utilizes the “Pod Concept”. 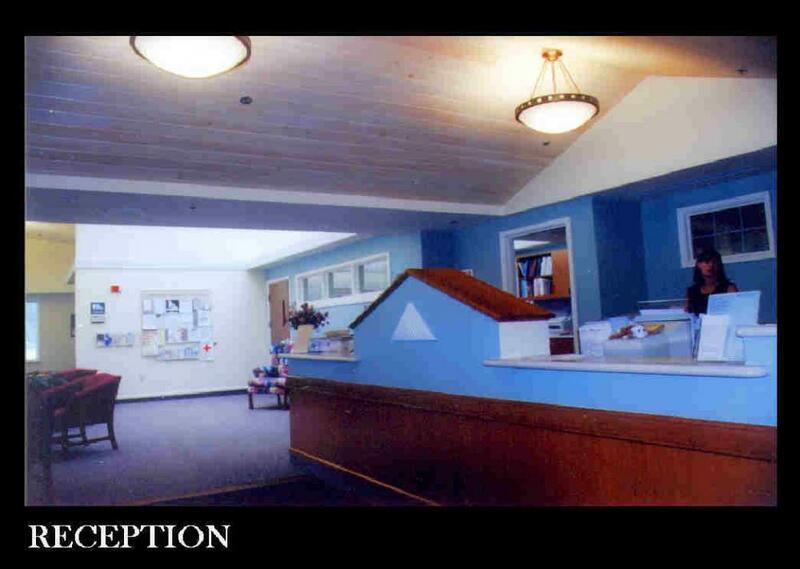 Major functions are grouped together around the building primary interior design element, the waiting room. 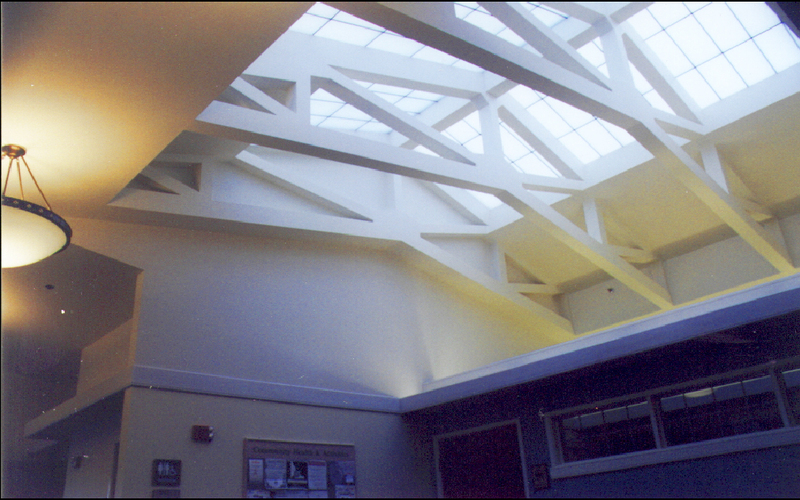 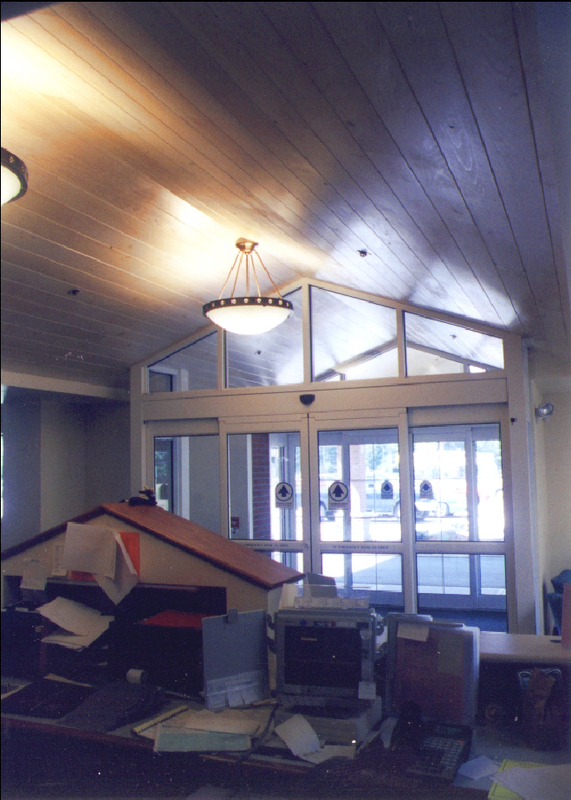 A dramatic open cathedral ceiling comprised of exposed trusses and a large skylight area.